As this is my very first blogpost for Weekends in Rotterdam, I’ll just quickly introduce myself! My name is Joyce and I live, work (near) and study in Rotterdam. 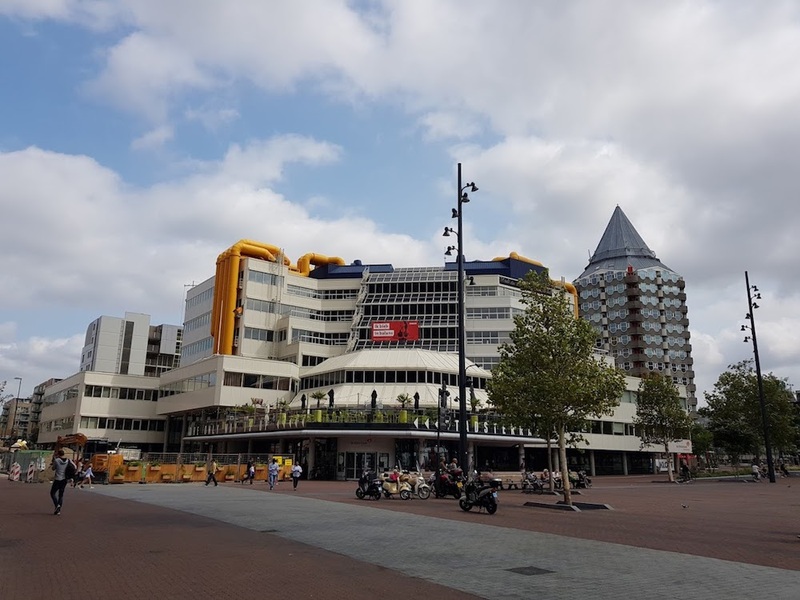 I have approached Weekends in Rotterdam to become a guest blogger, so that I can gain more experience in the field of communication and at the same time get to know my ‘own’ big, small city of Rotterdam better. Rotterdam has developed into a fantastic city in recent years and every weekend I love to roam around the city. There are so many new hotspots, restaurants and other places to discover. There is enough to write about, and let’s be honest, creating content about Rotterdam is super fun, right!? September has just started and that means back to school for most students. That’s why I thought it would be fun to test the best places to study in Rotterdam Center for my first guest blog. For the seasoned student, these places are by no means unknown, but it is possible that you have never heard of them and that is why I like to share my experiences! Are you an early bird? That’s good, because the NN DE Café is open at 7 a.m. (during weekdays)! Start your study day with a fresh breakfast or a cappuccino to wake up and sit at one of the long tables. There are enough outlets available to charge your laptop so you can get work all day long. The wifi is fast, but not free. If you order at the coffee bar, you will find the wifi password on your voucher (this changes daily). I found the NN DE Café a great place to work. 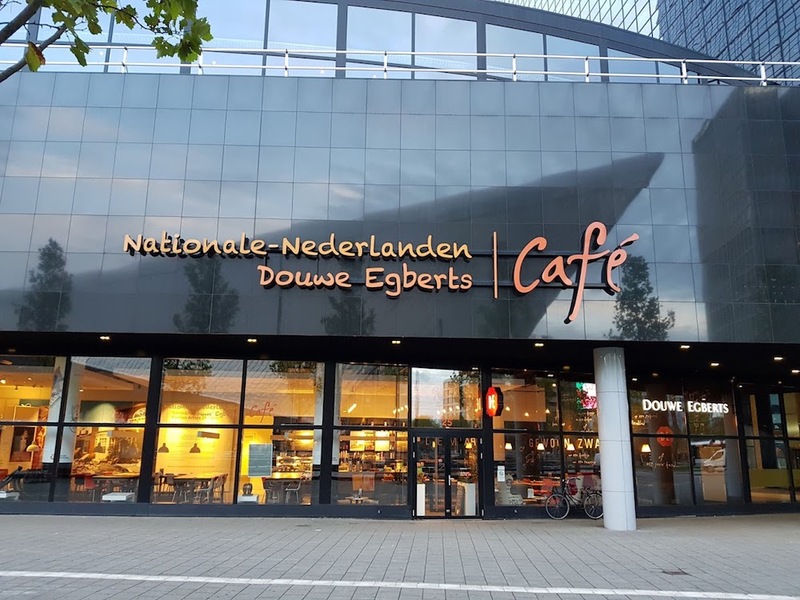 The cafe is located right in front of the Rotterdam Central Station and therefore an ideal place to do some more for school before you have to catch the train. Around 09.00 the café is almost completely filled with working people, which of course is very motivating, but this can also be noisy. 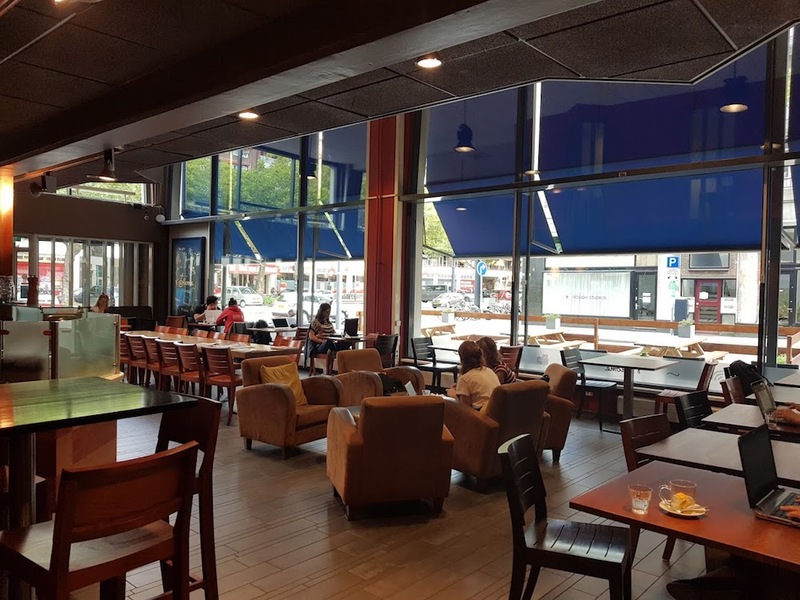 I would not be able to learn an exam here very quickly, but if you want to work on an assignment or have a meeting with someone, the NN DE Café is definitely recommended! A few meters further you will find the StationsHuiskamer of the Central Library in the Central Station. I’ve been here twice so far and I think it’s a very nice place! The interior is warm, cozy and decorated in such a way that you can study at the table or sit down on the couch when you need a little break. It really feels like coming home and not unimportant: there is free wifi. But the StationsHuiskamer has more facilities, because you can also have an affordable breakfast and lunch. The menu has a wide choice of sandwiches, salads or something nice with coffee. Very useful if you do not want to leave your study location! Okay, not entirely designed as a study place, but that’s how it feels! 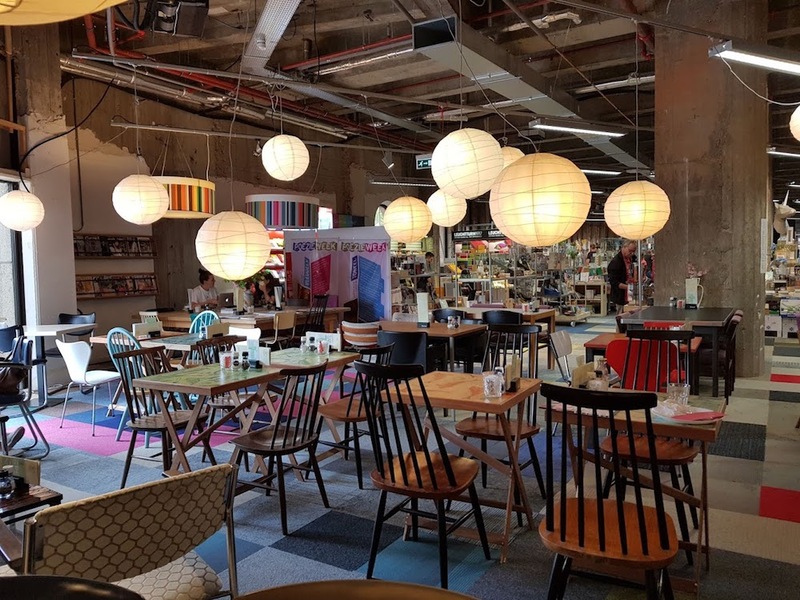 Donner is perhaps the most famous bookstore in Rotterdam and at the top of the store you will find Diner @ Donner. At Diner @ Donner you can get books, but also get breakfast, lunch and even a drink, but you are also welcome as a student. The restaurant has a large reading table to work on. Wifi is free and here and there you will find a number of outlets. I can definitely recommend Diner @ Donner as a study location. It is fairly quiet, the staff is friendly and the menu is extensive. Also nice to know is that they use local products in the kitchen, such as bread from Jordy’s Bakery and Chocola from De Bonte Koe. Note: at the end of this month, Diner @ Donner will temporarily close (3 months), because of the renovations in the building. In the meantime, there is a pop-up variant of Diner @ Donner in the store. This study site is perhaps the most obvious one, but I think the library should not be missing. On the 6th floor there is a big silence room where you can sit at your ‘own’ desk with socket and desk lamp. The nice thing about the quiet room (next to the beautiful view of the Markthal) is that you can leave your workplace for a maximum of half an hour, for example to get a fresh nose or have lunch. So you do not have to worry about losing your seat when you return. Wifi is free for members of the library, but also as a non-member you can use wifi by buying a day pass for € 2.50. The quiet space is full quickly, so I advise you to come around opening time. You didn’t manage to get a spot? Then look at the other floors, there are also enough tables and chairs to sit on. Last but not least: Cafe @Home! Upon entering, I immediately noticed that the café is really decorated as a study place. The interior is simple, but has a great atmosphere and in the background you can hear music playing softly. In addition to the extensive coffee and tea assortment, you can also order homemade sandwiches and sandwiches at Cafe @Home. To quench your thirst, there are also jugs with water at the bar. At each table there is a socket and if that was not all; the wifi is also free. In short, a good place to study all day! 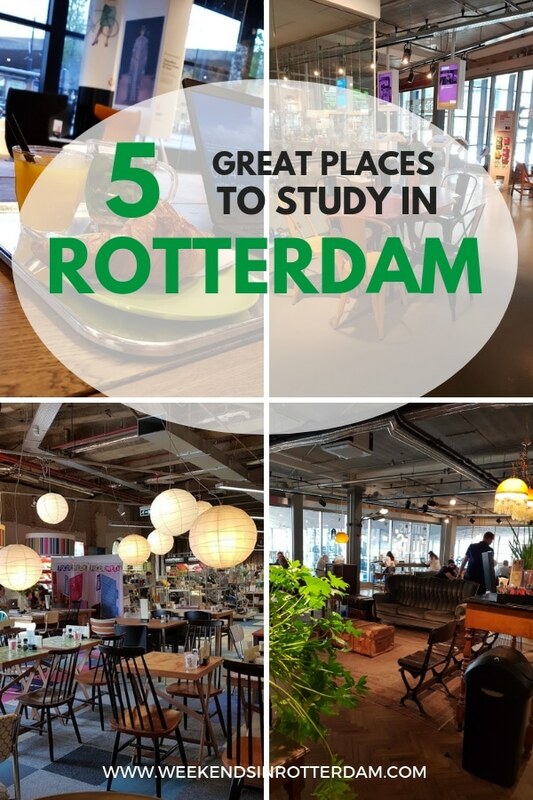 These were the 5 places in Rotterdam Center that in my opinion are really perfect to study at. 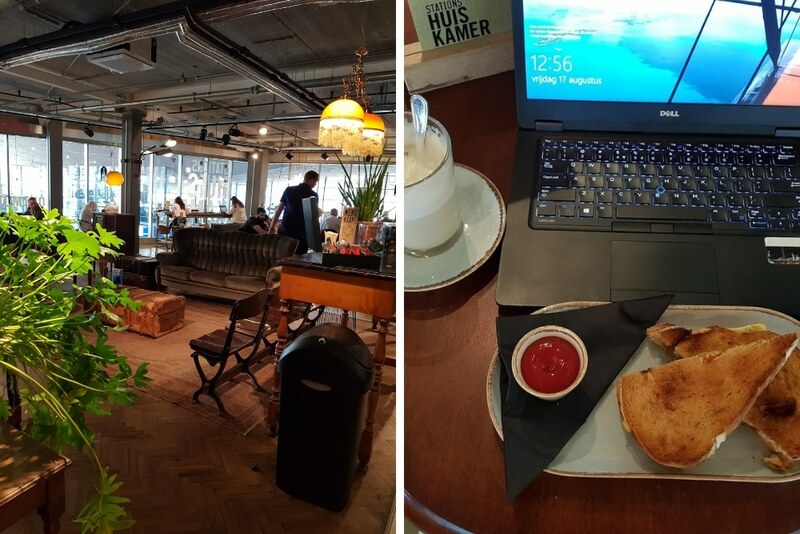 But Rotterdam is a ‘flexible work friendly’ city, just to describe it, with enough coffee shops, restaurants and other places where you can sit down with your laptop or study books. I have not finished my studies for now, so maybe I’ll test a few more in a next blog! Joyce writes for Weekends in Rotterdam about food, studying and other fun things to do in the city. She studies Communication at Rotterdam University of Applied Sciences and works at the Marketing & Communication department of a large engineering firm. She is a big Cookie Monster! You can especially wake her up for Oreo’s with white chocolate and Lu coffee sachets. In her free time she likes to travel, eat well and be active and she regularly shares photos via her Instagram @joyce.visee. SLA Rotterdam: Healthy and tasty!